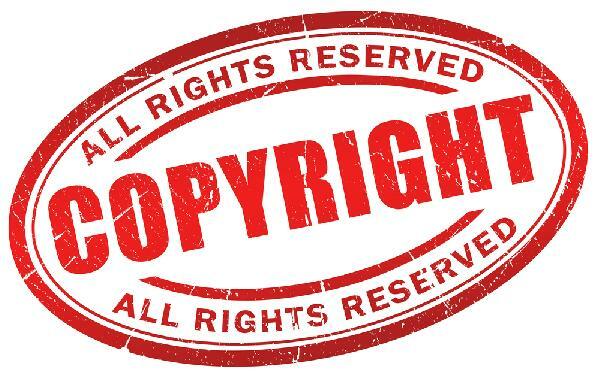 The Green party may be forced to backtrack on its proposals to limit UK copyright terms to 14 years after a howl of protest from prominent writers and artists including Linda Grant, Al Murray and Philip Pullman. The Greens’ manifesto said the party aims to “make copyright shorter in length, fair and flexible” with the party’s policy website saying it would “introduce generally shorter copyright terms, with a usual maximum of 14 years”. Representatives of the party said on Thursday that length could be revised after a consultation. There have indeed been howls of protest from just about everyone who has ever made a penny or two from stringing words together. As most of us here have made a penny or two from stringing words together as well perhaps we might add a little bit of grown up talk to the discussion? The entire point of copyright (and also of patents) is to acknowledge that free markets, pure free markets entirely unadorned, are not the optimal solution to every problem. We'll argue with anyone about the idea that they are the optimal solution to more problems than anyone currently allows them to be but we're still insistent that this does not mean that they are perfect. And the issue of creation, whether of new ideas, new works of art or simply entertaining schlock is one of these areas. It's difficult and time consuming, expensive in other words, to produce new material in any of these fields. It's extraordinarily easy to copy it once that has been done. This means that in a purely free market system it will be very difficult to profit from creation thus we think there will be less creation than we might want. So, we add protections for the creators. We have, simply, entirely invented this concept of "intellectual property". That provides the incentive to create. However, there's also the point that we like derivative creation as well: someone creating atop the bones of what has gone before. And too long a, or too restrictive terms of, protection will limit and hinder this. So, some protection of creation is desirable and too much is not. But note where this leads us. It is that original creation that we wish to encourage. And, if we're honest about it, writing a book now is not influenced in any manner at all by the thought that a literary estate might still be earning from it 70 years after the authors' death. The Sherlock Holmes stories only recently went out of copyright: does anyone think Conan Doyle was in the slightest influenced to write by what the stories might earn in the 1980s? Or take the lengthening of sound recording copyrights from 50 to 70 years just recently. Does anyone really think that Cliff Richard was incentivised to record "Living Doll" by how much it might make him in 2010? Sure, in 2010 he was very interested in the subject as he campaigned on the issue but what we want to know is what pushed him in the first place, not what he thinks post facto. Given that he did the recording under a 50 year protection does rather show that the 70 year protection was not necessary to encourage that original creation. So, therefore, we probably shouldn't have the longer protection. 14 years might be too short a period of time. From memory that was actually the time period in the early 18th century, and it could be renewed at least once. Full marks to the Greens for actually recognising this as an interesting area for discussion. But we would have thought that reverting to that 18th century was a bit odd for them. For they normally want us to fast forward to the Middle Ages don't they?